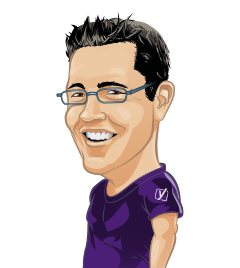 Taco Verdonschot is community manager at Yoast. He is leading the support team, managing translate.yoast.com and tester for our software. You can regularly find him at WordCamps and meetups. His ultimate goal is to help others deliver high-quality software for everyone, in every language. 2018 is approaching rapidly. Time to look back at yet another awesome year at Yoast. A year in which we attended quite the number of conferences. In this post, we’ll give you an impression of a few of the conferences we have been to, cities we’ve visited and friends we’ve made! So, without further ado, these are the events we attended in 2017. Bring on 2018! As always, the new year hasn’t really started until we had our infamous Yoast New Year party. Turning the office into a dance hall, we partied with our closest friends as only Yoasters can party! 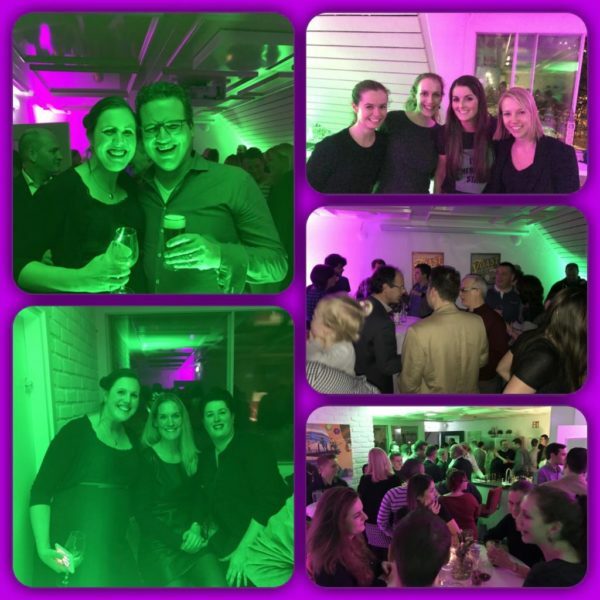 There ain’t no party like a Yoast party! As always, the first conference of the season was PHPBenelux in Antwerp. We’re regulars at this conference because it always offers excellent talks by renowned speakers, amazing socials, and a unique theme. This year our developers when into ‘space’ to learn all about PHP. While we mostly go to WordCamps to share knowledge and to meet our old and future friends, customers and business partners, attending other conferences usually has a slightly different goal; to learn. That’s also why one of our developers and our linguist (this early in 2017 it was still singular) attended CLIN27/CCL25. This conference about Computational Linguistics brings the best speakers in the field on stage. 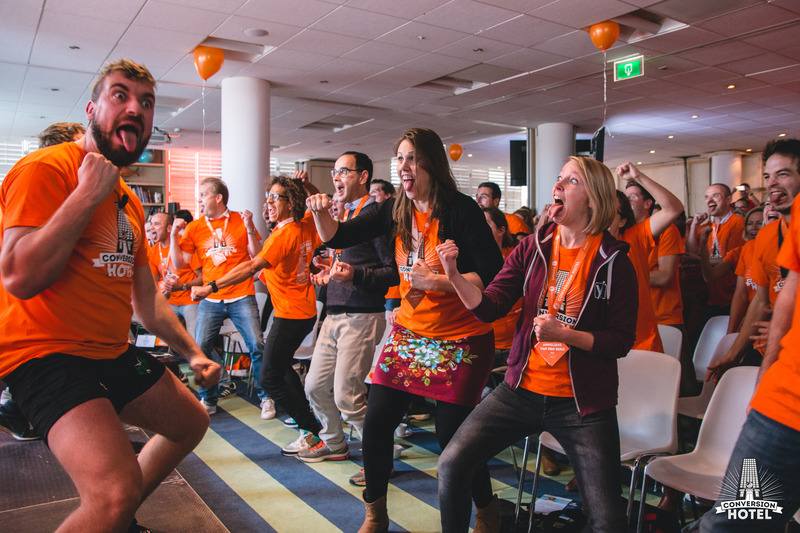 Have you ever heard of TYPO3 Camp? Neither had we until we joined our friends at MaxServ for a weekend at TYPO3 Camp in Venlo (NL). We learned that this developer-aimed conference offers great developer talks, even if you don’t do TYPO3! Time for a WordCamp! Four of my colleagues flew to London for WordCamp London. This two-day conference, preceded by a contributor day, usually draws attendees and speakers from all over the world. WordCamp London is easy to travel to (and from The Netherlands even fairly cheap). Live captioning, chill-out rooms, three tracks, and a legendary party, what else would one need? Our next stop was Iceland. Joost went to the Reykjavik Internet Marketing Conference (RIMC), an annual conference on everything internet marketing where all the world-famous marketers go to. Joost went, spoke and aced his keynote. On 7 and 8 April 2017, we attended the second WordCamp Torino. A year earlier, WordCamp Torino was the very first Italian WordCamp in a very long time. Its success motivated other Italian communities to organize other WordCamps, leading to an unprecedented growth of the Italian community. And that was obvious in 2017. 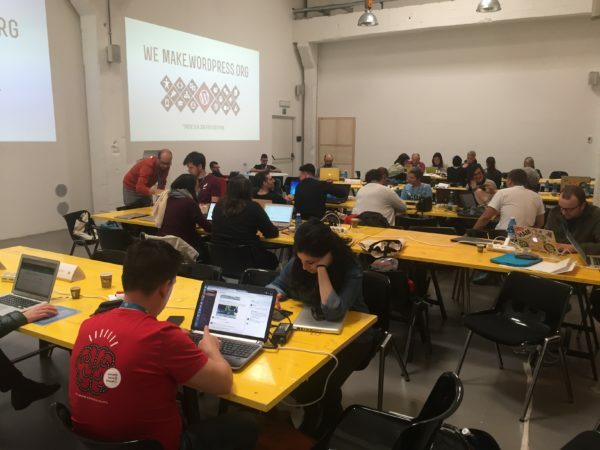 WordCamp Torino completely sold out and had an extensive and very successful contributor day. Choosing which events to attend can be a real challenge. Especially with the number of WordCamps, even close to home. This means that we sometimes have to disappoint conference organizers, who really personally invite us to attend, or even speak at, their event. And sometimes we just have multiple events in a single weekend. This happened on April 20th – April 23rd. 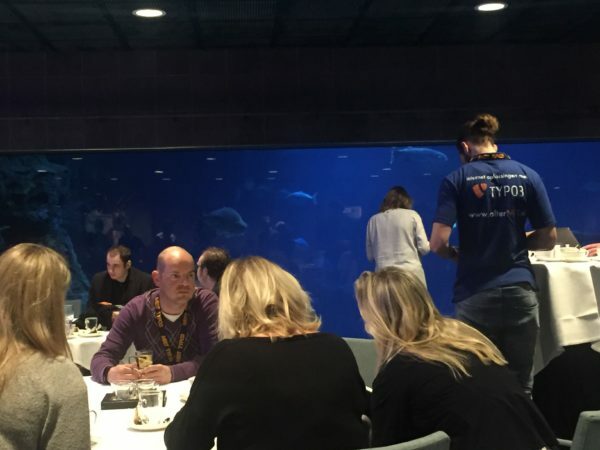 First, we attended Meet TYPO3 Rotterdam in the Rotterdam Zoo, a TYPO3 conference aimed at marketers. The next day, we went to both WordCamp Vienna and ReactNL. 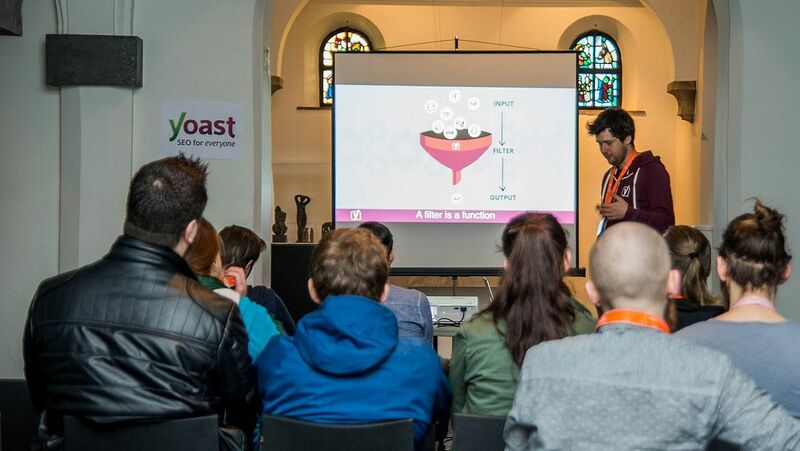 Oh by the way, did you know that we released the very first version of Yoast SEO for TYPO3 at Meet TYPO3 Rotterdam? We did! Joost de Valk (our CPO) and Richard Haeser (lead developer of Yoast SEO for TYPO3 at MaxServ) pressed the button in the Shark Room. Meet TYPO3 in the Shark Room of Rotterdam Zoo. Meanwhile, we launched Yoast SEO for Magento 2 which is why we just had to attend Meet Magento. This one-day conference in Utrecht is a real multi-track conference. It gave us a nice insight into the Magento community, and we got to meet quite a few people we already knew from the PHP and WordPress communities. It seems we’re not the only company bridging communities, which is a good thing! You know what else was awesome at WordCamp Europe in Paris? The themed afterparty. Of course, we took that as a challenge and dressed up our entire team. What do you think, did we win this? After a nice and long vacation we kicked off our conference season with a WordCamp very close to home; the very first WordCamp Nijmegen! Yoast has been actively involved in this WordCamp. We provided an organizer, several volunteers, two (!!) speakers and a whole lot of attendees. Marieke shared her knowledge on writing, and Michelle helped the attendees prevent common SEO mistakes. Both talks were very well-received! Despite Rule of the Internet #22 and #23, not everything on the internet is copy/pasted. Some of us are really into creating new content. That’s why Erwin and Tim went to Playgrounds 2017. They’re responsible for creating all the images you can find on yoast.com, in our products and in the presentations we give. There they were introduced to new techniques, tools and a LOT of new ideas! November, nearing the end of the year and the holidays, so time to slow down. Hah! No way! At Yoast, we celebrated our most conference heavy month of 2017. With ten events in just 30 days, November rocked! The first event of November doesn’t need a lot of introduction, as we assume you’ve all heard about YoastCon. Our very own one-day SEO conference featured top-notch speakers from the SEO world, and local talent hosting sold-out workshops. More than 350 attendees saw Joost’s keynote, followed by a blazing fast, insanely inspiring talk by the Belgian Karl Gillis. For the sad few who’d to miss YoastCon we published the videos. You can find them on our YouTube channel. And in true Yoast style, we ended YoastCon with an epic afterparty. A party that everyone involved will remember forever. 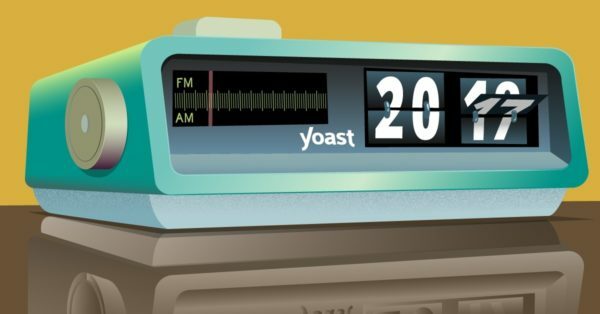 We’re not going to tell you too much, but let’s just say that you never want to miss a Yoast party. Just a couple of days after YoastCon, Joost hopped on a plane to keynote at Pubcon in Las Vegas. Pubcon is one of the largest, if not the largest, SEO and online marketing conferences in the world. His key take-aways were shared on twitter a lot. For the first time in a long time, Yoast attended a WordCamp in Asia. Our support engineers Michael and Jerlyn went to WordCamp Manila to meet the local community. And just a couple of weeks later, Jerlyn and Rumejan, also a Yoast support engineer, went to WordCamp Kuala Lumpur to promote our brand and have a good time with the local community. Meanwhile in Europe, we attended WordCamp Cologne, WordCamp Milano and Conversion Hotel. And we have to tell you about Conversion Hotel as it’s special. Conversion Hotel is a 3-day conference organized on one of the Dutch islands. Nope, not Aruba. Not Sint Maarten. It takes place on the beautiful island Texel. The conference focusses on growth strategies, conversion (what’s in a name), copywriting and psychology. An original way to kickstart your conference? How about teaching all attendees a Haka? Our linguists, Manuel and Irene, went to the 16th Dutch-Belgian Information Retrieval Workshop in November. This very technical conference focussed mainly on topics like information search and the automated generation of recommendations, from music to e-Commerce. The 10th conference we attended in November was a special WordCamp. This first edition of WordCamp Utrecht was held in the venue where WordCamp The Netherlands had been for quite a few years (until 2015). It felt so familiar that people felt at home quickly. We attended and helped out as speakers, volunteers, sponsors, and attendees. And now it is December. When you’re active in WordPress, the one event you have to follow in December is WordCamp US. Not just because it’s one of the biggest WordCamps in the world, but also because it’s where the State of the Word is held. In this annual presentation, WordPress founder Matt Mullenweg reflects on the past year and looks forward to what’s coming in WordPress. Of course, this year’s State of the Word was all about Gutenberg. So if you haven’t seen it yet, watch it today! And what’s a better way to end our conference year than by going to the eternal city? 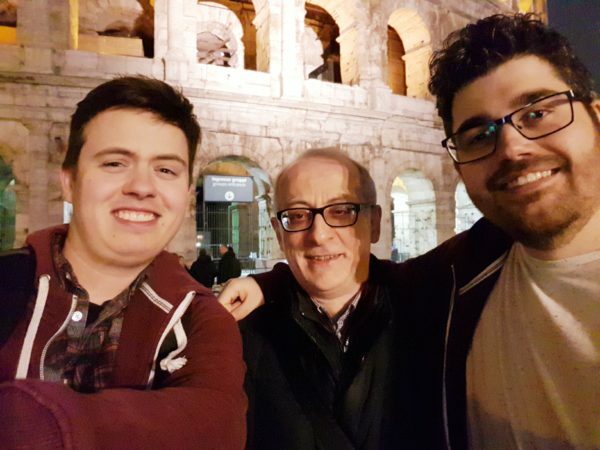 Jimmy, Patrick, and Andrea went to Rome’s first local WordCamp where they enjoyed a great event and, almost equally important, the local culture and cuisine. When in Rome, pose with a Roman (Andrea) at the Coliseum. Missed us in 2017? Don’t worry! If anything, our conference year will be even more busy in 2018! And if you want to know where to find us, regularly check our calendar. Great!!!! Congratulations, your articles are great, thank you.